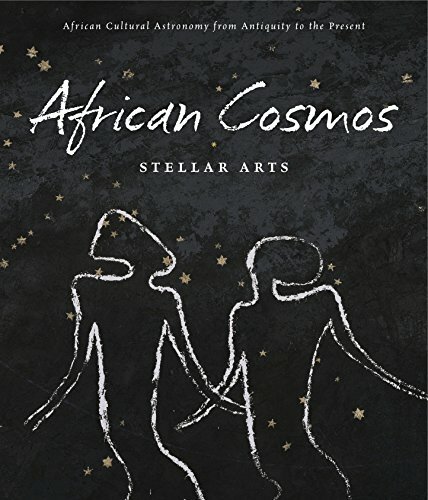 A groundbreaking scholarly publication, accompanying an exhibition organized by the National Museum of African Art, Smithsonian Institution, African Cosmos: Stellar Arts brings together exceptional works of art, dating from ancient times to the present, and essays by leading scholars and contemporary artists to consider African cultural astronomy: creativity and artistic practice in Africa as it is linked to celestial bodies and atmospheric phenomena. African concepts of the universe are intensely personal, placing human beings in relation to the earth and sky, and with the sun, moon, and stars. At the core of creation myths and the foundation of moral values, celestial bodies are often accorded sacred capacities and are part of the “cosmological map” that allows humans to chart their course through life.